Replacement might just be easier than you think. Your side mirrors are important. If you've ever sideswiped someone (or been sideswiped), you know that being able to see what's next to you is pretty much essential to driving safely. It's pretty simple to replace a side view mirror, so there's no excuse if yours is broken! You can fix it yourself for just the cost of the mirror. If only your mirror's glass is broken, we still recommend replacing the entire assembly, as the cost is so minimal; also, the replacement procedure is easier (and less likely to result in shards of broken glass flying everywhere) than trying to change the glass. Open the door and locate the triangular mirror trim panel. Use a trim panel removal tool to carefully pry off the panel. If the panel has a speaker in it, pull the panel forward and disconnect the speaker wiring. Remove the panel. The mirror will be attached with either nuts/bolts or screws (there will likely be three fasteners). Using the proper tool, remove the fasteners from the panel. You may want to have an assistant holding the mirror so it doesn't fall off and damage the wiring. Figure 1. Remove the mirror mounting fasteners. Disconnect the mirror wiring and pull the mirror from the vehicle. 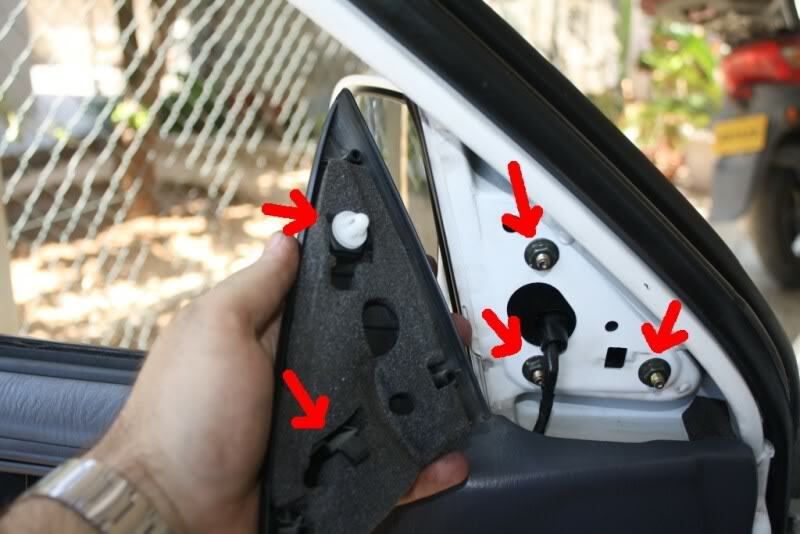 If you are replacing the mirror wiring or working on the switch for a power mirror, you will have to remove the door panel to access the rest of the wiring. Use a trim panel tool to disengage the clips from around the perimeter of the door panel, and pull the door panel from the door to locate the wiring you want to replace. Connect the mirror wiring and install the mirror. Install as well as tighten the fasteners, and, if applicable, reconnect the speaker wiring. Install the trim panel. Test the mirror controls to make sure the mirror functions properly. Figure 2. A new mirror can be functional and good looking, like this chrome mirror. Toyota Tundra: Why is My Interior Rattling?